Darren. . Wallpaper and background images in the Darren Criss club tagged: darren criss 2011 glee glee live. 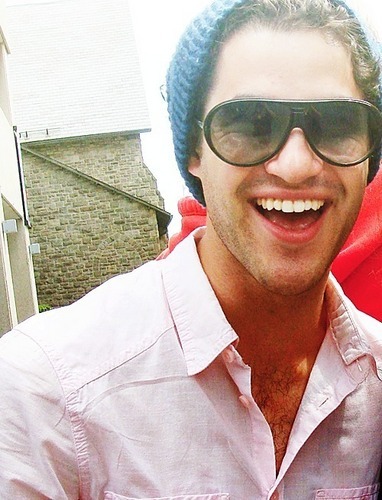 This Darren Criss photo contains サングラス, 色合い, ダークグラス, and シェード. Darren on drums in "Stutter"
あなた are 芝居 like ガーフィールド on a Monday! I'm the boy that lived not died!